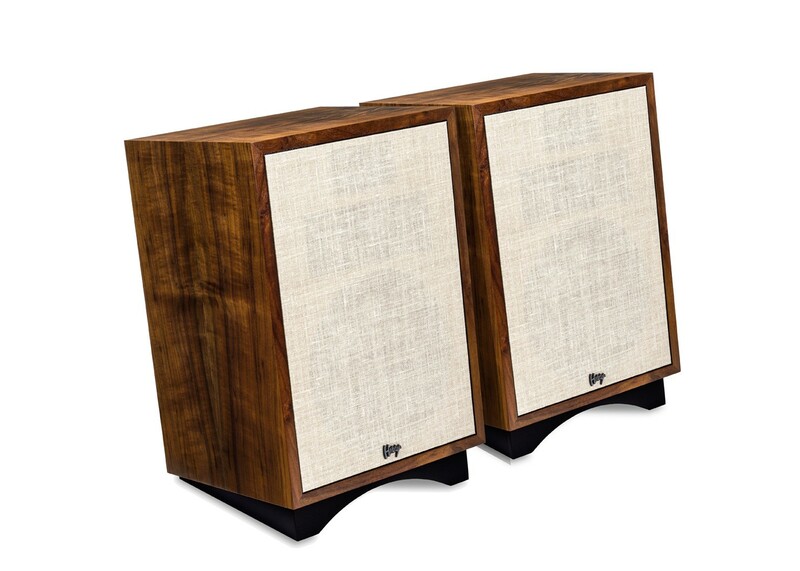 Klipsch is happy to announce a special edition production run of the Heresy in exotic California Black Walnut. This beautiful hardwood is harvested along the west coast of the United States and is a mixture of wood species created by grafting English Walnut and native California Walnut. The heartwood can range from a pale brown to dark chocolate brown, with darker brown streaks. California Black Walnut may have a colorful, streaked appearance which is sometimes referred to as “marbled Claro walnut.” The wood can occasionally also be found with figured grain patterns such as curly, crotch, and burl. The Klipsch Heresy III speaker is a testament to the quality Klipsch demands from each and every one of its audio products. Remember great sound? We do, too. The Klipsch Heresy III is still made in the USA, by proud craftsmen in Hope, Arkansas. Just like Paul W. Klipsch (PWK) intended. Each pair of Heresys features “script” style nameplates mounted to a vintage lambswool grille cloth. A matte-black slant riser base compliments the California Black Walnut veneer. The Heresy was originally introduced in 1957 as a compact three-way design utilizing a 12” woofer and pavillon-loaded midrange and tweeter. In 2006, the Heresy III was upgraded with a more powerful woofer, bi-wire network, as well as midrange and tweeter compression drivers, featuring a titanium diaphragm for smooth and accurate definition. When Paul W. Lorsque Klipsch développait une plus petite enceinte à utiliser entre deux Klipschorn, une connaissance a déclaré qu'il ne pourrait pas la commercialiser parce que cela allait à l'encontre des principes du pavillon en coin et frôlait l'hérésie acoustique.